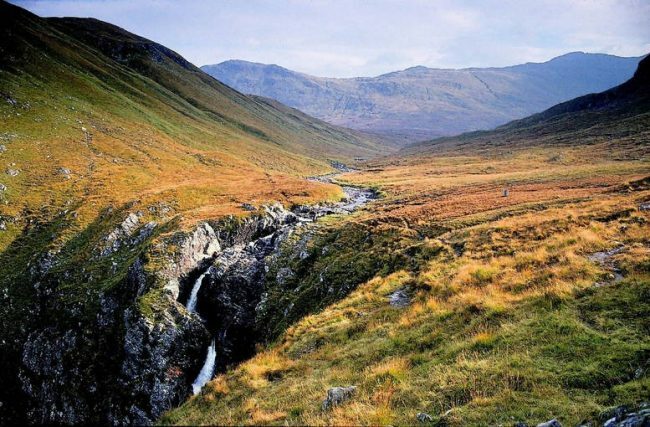 Venture into this far-flung Highland landscape to stand before one of the highest waterfalls in Britain – 113m of beautiful, crashing, crystal-clear water. Tumbling down a steep narrow cleft in a remote corner of the Highlands, the Falls of Glomach can only be reached on foot. It’s a 6 hour hike there and back, making the journey a truly isolating and bewitching experience. Their name comes from the Gaelic glòmach, meaning hazy, an apt description as the thundering water is often shrouded in moody mist.